Beautiful 5-Bedroom, 3, 212 Sq ft house w/Master Bedroom down stairs. Wonderful Master Bath w/Oval Tub and Separate Shower. 9 foot ceiling on first floor, and big Secondary Bedrooms with Walk-In Closets. Gorgeous Chef's Delight Kitchen w/Upgraded Maple Cabinets, 'L' Shaped Island, and Stainless Steel Appliances. Large Covered Patio, huge game room, open areas, and 2-Car Garage. 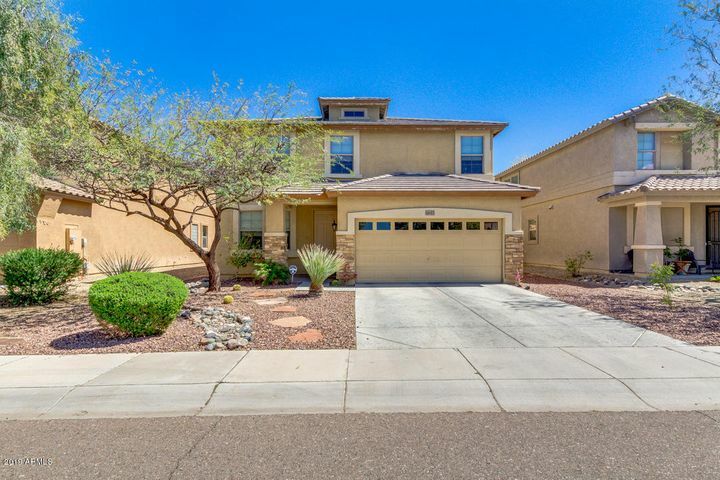 Great location near dining, shopping, sports facilities, lake at Cesar Chavez Park, and trails at South Mountain. © 2019 Arizona Regional Multiple Listing Service, Inc. All rights reserved. The data relating to real estate for sale on this website comes in part from the Arizona Regional Multiple Listing Service. Real estate listings held by brokerage firms other than Phoenix Urban Spaces, LLC are marked with the Arizona Regional Multiple Listing Service logo and detailed information about them includes the name of the listing brokers. All information should be verified by the recipient and none is guaranteed as accurate by ARMLS. All properties are subject to prior sale, change or withdrawal. Neither listing broker(s) nor Phoenix Urban Spaces, LLC shall be responsible for any typographical errors, misinformation, misprints and shall be held totally harmless. Listing courtesy of HomeSmart. Listing data last updated Friday, April 26th, 2019 12:05:18 AM.